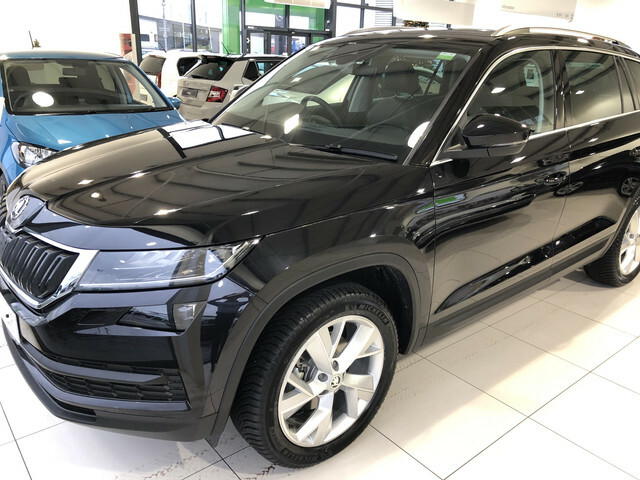 Ordered my Kodiaq edition 12/02/18. The car in the showroom was in petrol blue, and looked fantastic under the lights. 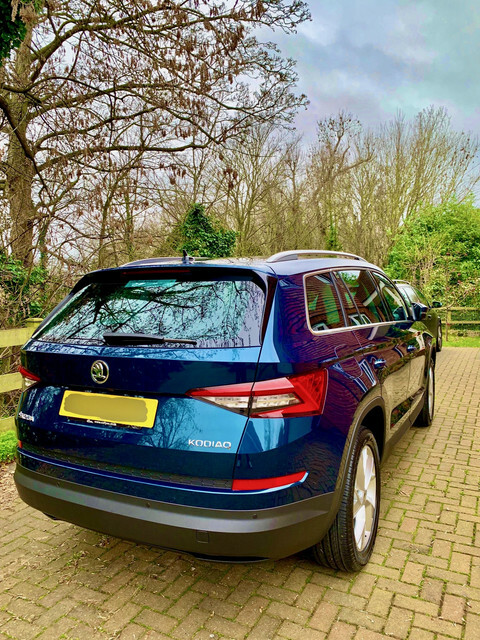 Only problem was that the sales guy told me there was an approximate three month wait for the 7 seat petrol edition delivery. This was no good to me as the contract for my current car expires at the end of March. With the various extras I wanted fitting we scrolled through the list of the cars sitting at the port waiting to come over. The only one that fitted the bill was in metallic moon white. This is not a colour I would have chosen but, hopefully, it'll look great. Certainly looks ok from the photos i've seen posted here. Might take a lot of cleaning, not something I'm a great fan of but, It'll keep the guys at the local Dobbies employed! 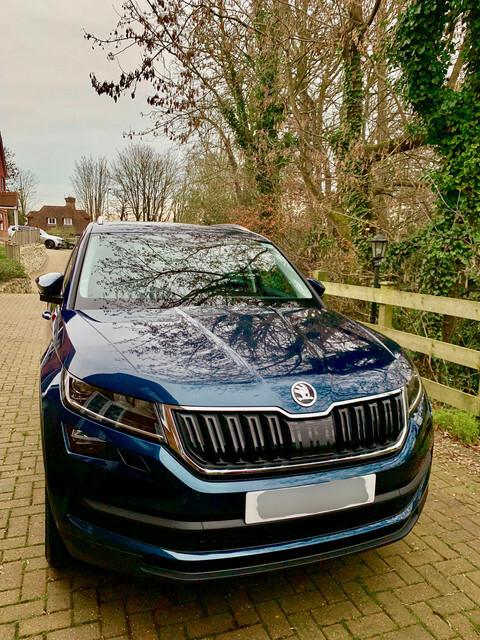 I then got an email from the dealer (Caffyns of Ashford) on the 15th saying that my Kodiaq had arrived in the UK. So, I'm now just waiting for the beginning of March when I can collect my 18 plate 'new toy'! Sorry, first post. Just realised this should have gone into the 'awaiting delivery' section. Maybe a moderator can move it? I'm not sure how to. Ordered 12/02/18. 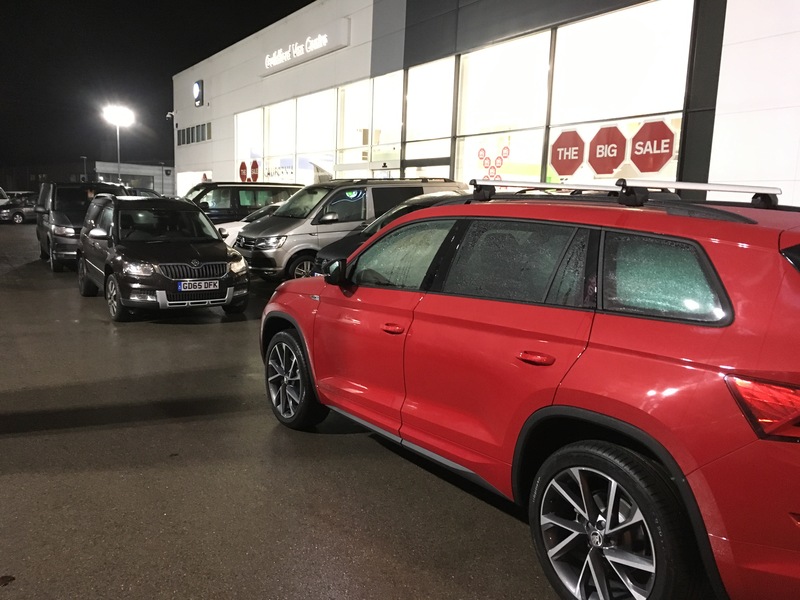 Arrived in the UK 15/02/18 Awaiting 18 plate delivery. Love the colour! What is it? Picked my Edition up from Horton in Lincoln on Tuesday. What a great handover from Paul, and the best vehicle preparation I have ever known. Super dealership and a great car. Looks great Dr Matt, Can't wait to collect mine in 2 weeks. 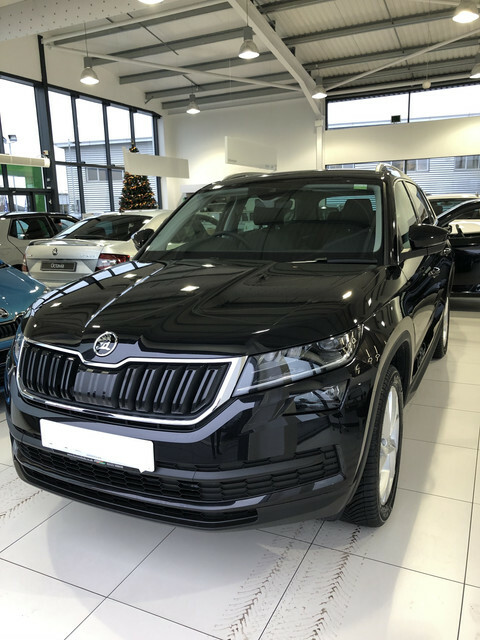 Enjoy your Kodiaq, and have a great Christmas and New Year. Had my Edition for 3 days now. 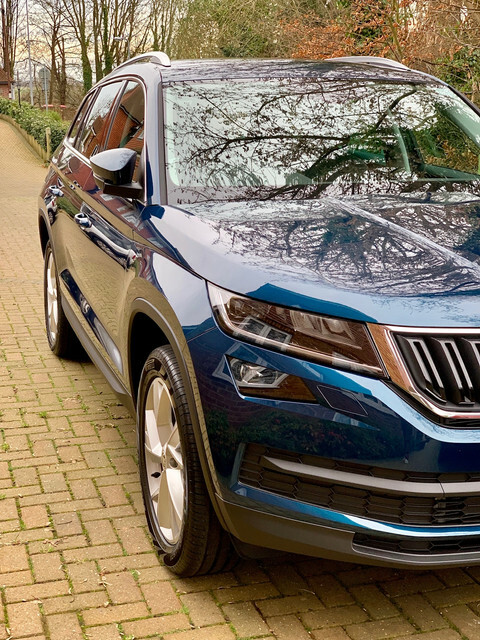 Delighted with it so far and already put the 7 seats to use. Went after work to pick up our new Sportline 190PS. So far so good. 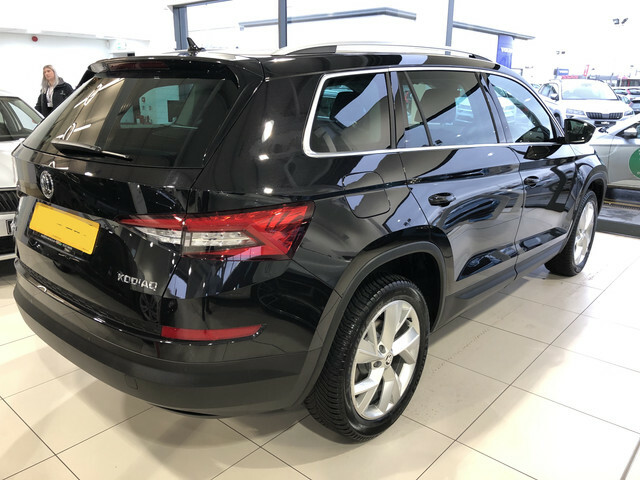 Extras include, heated front screen, space saver, high beam assist and Canton sound system. Dealer through in roof bars and rear carpet. Well, at last, it's the final countdown! Can't believe it. Just five days and my long awaited Kodi bear will be here. Gutted with a delay at the port and a few other oddities during the wait, but dreams will definitely be sweet for the next four nights. I've read all the tales of just how good this vehicle is. hopefully they will all be right. I'll keep you posted folks. Have a good week. If you are referring to the internal motion detector then the older models had the button on the B pillar but I have been told on the MY18 update it was removed. It can now be deactivated via infotainment system (which is a pain but turns also it off until such time it’s turned back on manually - not on restart) or if you double click the lock button it also deactivates it until restart. Mine is a MY17 model so cannot confirm if this is true but I am sure someone on here can. That said the only time I can see this feature is useful is if you are leaving a dog in the car, at no time can I see it’s justified to leave any animal in a locked car unless you have additional ventilation/cooling systems running. Even in the U.K. it’s incredibly easy to cook your pooch.